This Saturday, a newly mobilized civil disobedience movement called Code Rood will take action for the climate in the port of Amsterdam. The action takes place on the second anniversary of the Urgenda Climate Case court victory against the Dutch government. Sustainability editor Saga Norrby explains why this ‘red alert’ for the climate is so important. Code Rood is a non-violent civil disobedience movement concerned with climate change. 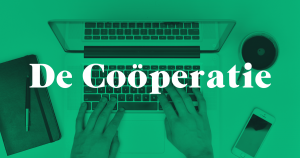 Inspired by the German coalition of climate change combating organizations Ende Galände, Code Rood was formed last summer. They will carry out their first action in the port of Amsterdam on Saturday, June 24. Code Rood does not organize mass protests, but takes the expression of their dismay with the slow pace of political action against climate change one step further — to mass disobedience. On Saturday, the Code Rood activists will occupy the fossil fuel facilities in the port of Amsterdam, in an attempt to halt the business for a day. Two days before the action, on Thursday, a climate camp will be set up; it will stand until Monday. Code Rood will continue carrying out actions until the changes outlined in their manifesto have been achieved. These changes include the gas extraction in Groningen being brought to an end, the closing of the ports in both Amsterdam and Rotterdam to the fossil fuel industry, the closing of all gas and coal fired power plants, a just transition for the workers in the fossil fuel industry, and proper acknowledgment and compensation from the Global North to the Global South in terms of the unevenness of the contribution to climate change, and of the distribution of its consequences. The port of Amsterdam is the largest gasoline harbor in the world. The location is chosen against the background of the port of Amsterdam being the largest gasoline harbor in the world and second largest coal harbor in Europe — only exceeded by Rotterdam. On June 24 in 2015, the district court of The Hague ruled in favor of Urgenda — a foundation aiming for a fast transition to a sustainable society and a circular economy — urging the government to increase their efforts in lowering the country’s greenhouse gas emissions. In September the same year, the Dutch government appealed against the verdict, a process which is continuing to this day and which Red Pers’ Laurien Knorringa recently wrote about. Urgenda sees the year of 2030, rather than 2050, as a feasible and more desirable time by which to have reached a 100 percent renewable energy supply. This despite the fact that the Netherlands have been one of few member states that have been lagging far behind their legally binding targets for proportion of energy from renewable sources, set down in an EU directive in 2009. 2020 was chosen as the year in which the targets should be reached. In 2015, the Netherlands had the third lowest proportion of renewables in Europe, 5,8 percent — its target being 14 percent. Only Luxembourg and Malta performed worse. The Dutch government talks the talk, but on the current trajectory, it seems unlikely the targets will be met. If you believe that a stronger message is needed— that it isn’t enough to just make promises — why not join Code Rood this Saturday? Due to Code Rood’s policy, Egbert is only mentioned by first name in this article. Geplaatst in Duurzaamheid, International (EN) en gekoppeld aan Amsterdam, case, climate, Code Rood, Dutch, emissions, Ende Gelende, environment, fossil fuels, government, Groningen, Netherlands, Rotterdam, Urgenda. Maak een bladwijzer van de permalink.